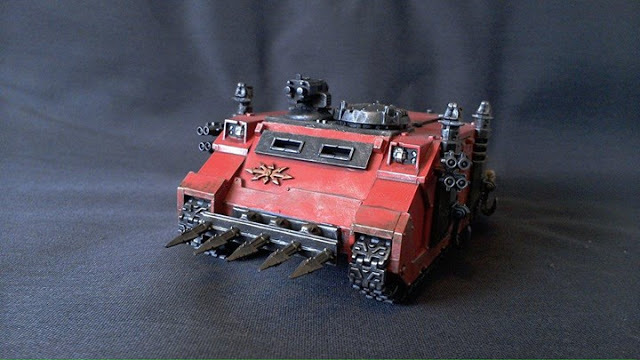 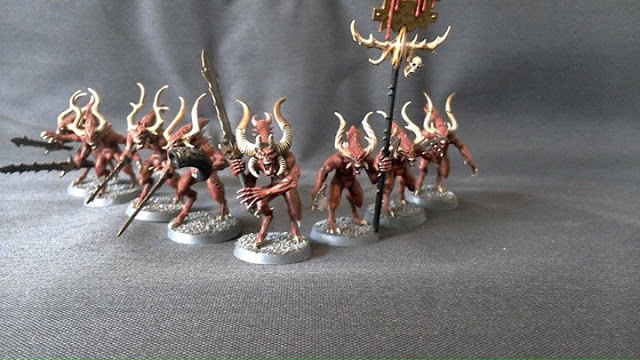 F: I love the mix of mortal and daemonic troops, and the idea that you will start the game with mostly mortal troops, but end the game with mostly daemonic ones. To that end, it made total sense to bade the entire army around a Slaughtercult, and then branch out into the more specialised troops. 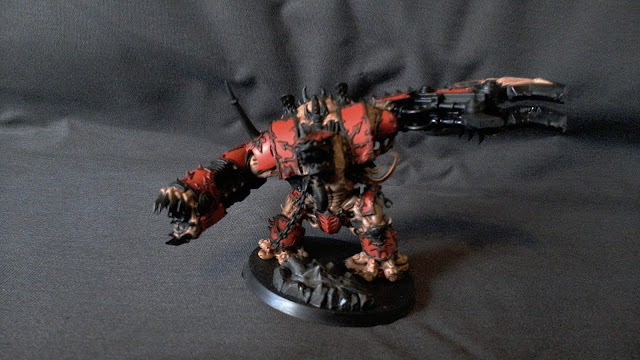 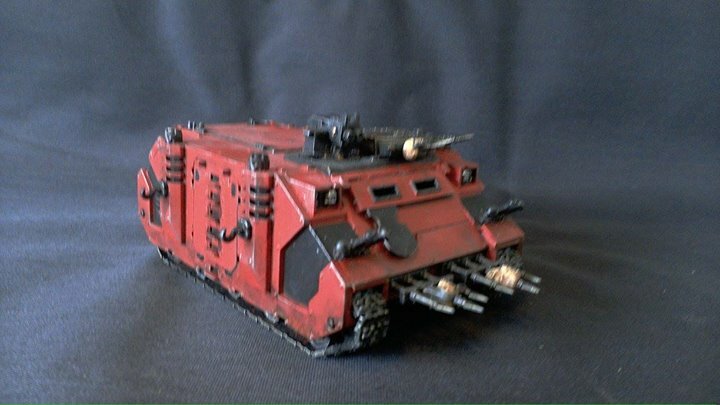 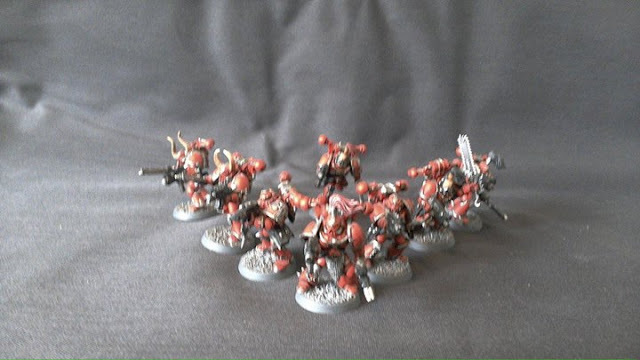 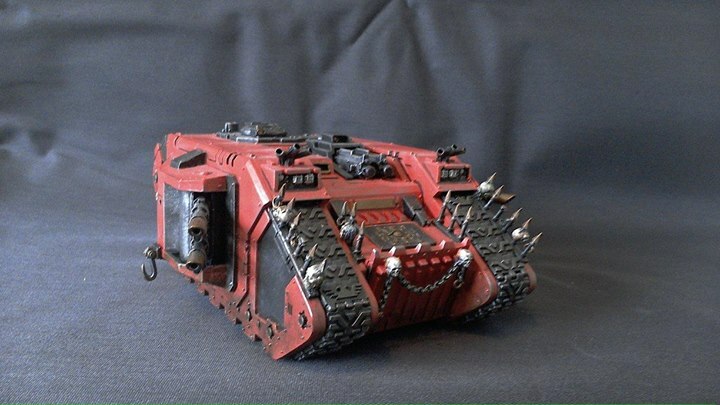 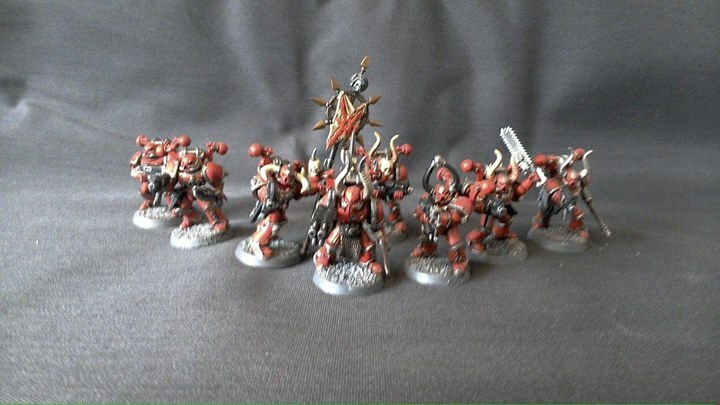 F: In terms of colours, I wanted to emphasise the Khorne colour scheme throughout. 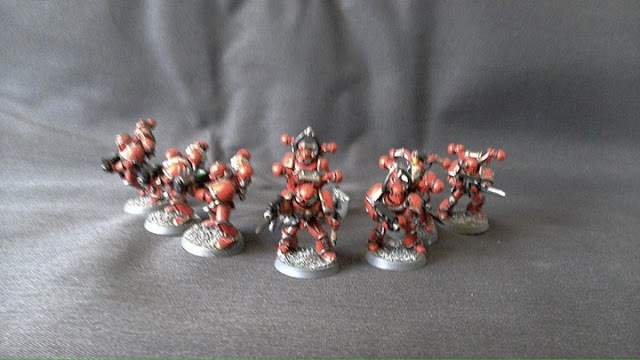 I use a base of Mephiston Red, washed over with a couple of coats of Carroburg Crimson and then a final highlight for the armour plates of Evil Suns Scarlet. 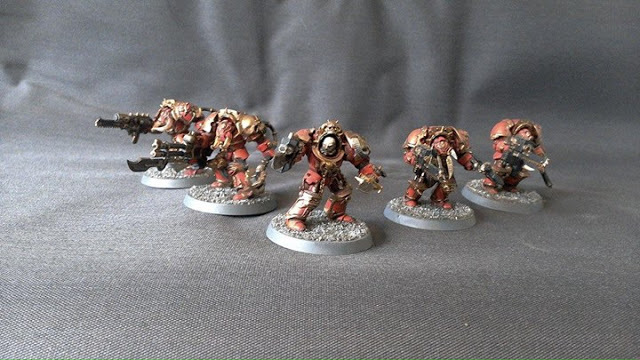 F: The trim details are picked out in Leadbelcher for the basic Chaos Marines, but in Balthazar Gold for the Terminators and the Berzerkers. F: I feel this shows how far the different troop types are along the path of Khorne’s favour. 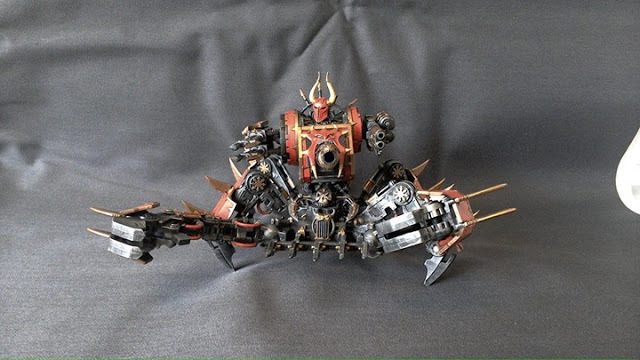 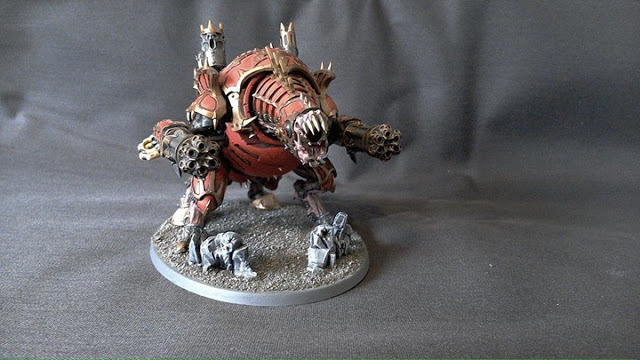 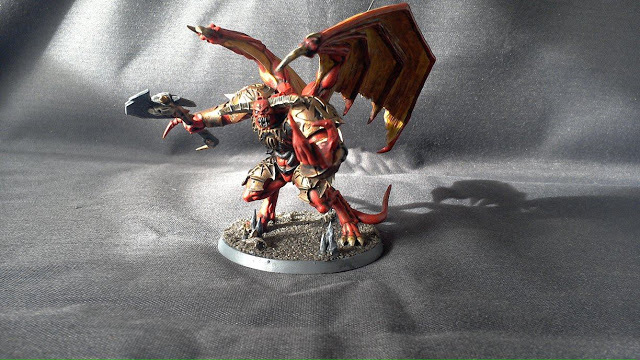 The Daemon Prince and the Daemon Engines follow the same scheme, but add additional details such as the flesh colour on the Forgefiend or the leather wings on the Daemon Prince.